Protein kinases regulate nearly all processes in cells. If the function of these enzymes is disrupted, often cancer will develop. In particular certain types of deregulated mitogen-activated protein kinases (MAPKs) are believed to be the cause of various types of cancer. In his new research project, cellular biologist Professor Krishnaraj Rajalingam of the University Medical Center at Johannes Gutenberg University Mainz (JGU) intends to dissect on the molecular level how disturbed MAPKs lead to the generation of tumors. Based on this knowledge, researchers may be able to develop substances that inhibit the activity of these deregulated protein kinases. The Else Kröner-Fresenius-Stiftung is funding this research project to the tune of some EUR 580,000. Protein kinases regulate nearly all processes in cells. If the function of these enzymes is disrupted, often cancer will develop. In particular certain types of deregulated mitogen-activated protein kinases (MAPKs) are believed to be the cause of various types of cancer. 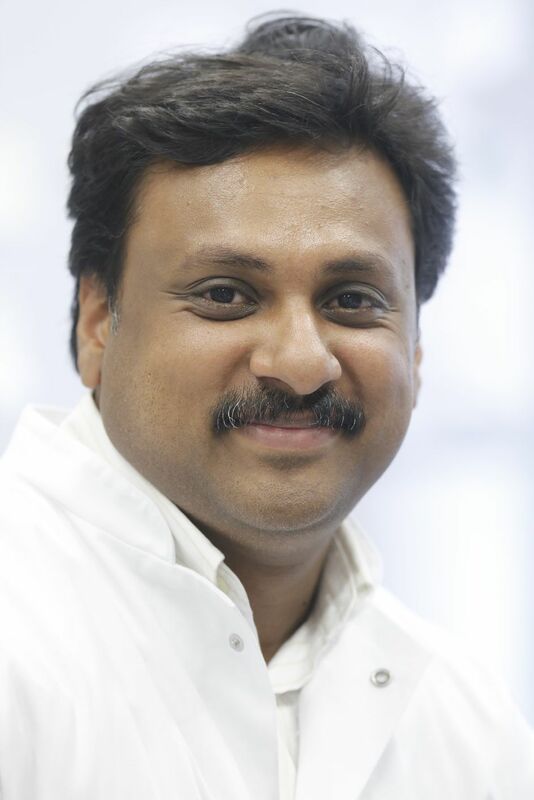 In his new research project, cellular biologist Professor Krishnaraj Rajalingam of the University Medical Center at Johannes Gutenberg University Mainz (JGU) intends to dissect on the molecular level how disturbed MAPKs lead to the generation of tumors. Based on this knowledge, researchers may be able to develop substances that inhibit the activity of these deregulated protein kinases. The Else Kröner-Fresenius-Stiftung is funding this research project to the tune of some EUR 580,000. Professor Krishnaraj Rajalingam, who is originally from India, and his team have been able to demonstrate that the concentration of certain MAPKs in the tissue of so-called non-small cell lung cancers (NSCLCs) is elevated. NSCLCs represent more than 80 percent of all lung and bronchial cancers. With this in view, Rajalingam is convinced that a comprehensive analysis of these MAPKs will provide important insights into the molecular mechanisms involved in the development of lung cancer. „Tumor cells have developed various strategies to protect themselves against being detected by the specific immune system. Because of this, they can proliferate unhampered in the body. Once we thoroughly understand MAPKs, we should be able to develop innovative therapeutic concepts that will enable us to attack tumor cells and also activate the immune system,“ stated Rajalingam.